How often do you need to buy a new drill or circular saw? If you are a homeowner maybe once, possibly twice, in your lifetime. If building is a hobby made more frequently, and of course if you are a professional, well it all depends how busy you are and how well everyone takes care of the tools. Woodstock Hardware offers a wide selection of quality power tools. The real ones. Not to be confused with those tools that may have the same name on the outside but have cheaper parts inside. But we will leave that for another day. If you are a homeowner who is looking for that small handy drill to help you do things like hang curtain rods, assemble furniture, and do that odd job we want to make sure you get the best tool for you. If you are a bit more serious and enjoy having the best, most current tools, then we want to makes sure you get the best tools, and if you are a professional who needs tools “that make money” we want to make sure you get the tools that are best for you! And we can. We also offer an extensive assortment of hand tools and accessories to help meet your tool needs. So the next time you need a knew utility knife, tape measure, or metric tap, stop in and see us, we have what you need. Visit our Hand Tool and Accessory Department . 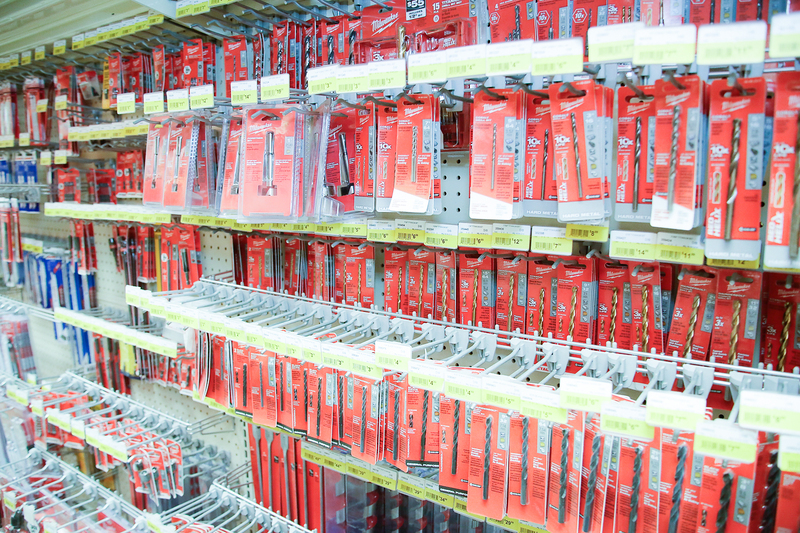 Woodstock Hardware stocks a complete line of both corded and battery-operated tools and in almost every case “bare tools” so that if you need a new battery-operated tool you don’t have to pay for another battery and charger. How great is that? Plus, Woodstock Hardware carries a full line of battery operated job site radios, fans, work lights, blowers, and vacs, and even heated jackets to go with the best quality power tools. In addition to the Power Tools and Accessories you need, with over twenty-five years of experience, Woodstock Hardware can provide you the technical expertise required to help you successfully complete your next project. Here are a few tips to consider the next time you are using your power drill. Avoid Baggy Clothing. Loose sleeves, jewelry and hair can be a hazard when you are operating a power drill. The spinning action of a cordless drill can catch and tangle any loose objects. While operating any power tools, wear short sleeves, forgo jewelry and tie your hair back if necessary. Wear Protective Gear. Safety goggles are always a good idea when using a power drill. You may also want to use a breathing mask if the material you’re drilling produces a lot of dust or shavings. Gloves can help protect your hands, but only if they are form-fitting and not baggy. Loose gloves can get caught in the drill. Secure Your Work Piece. You don’t want the wood or metal piece you are working on to shift while you’re drilling. Clamp the work piece down or secure it in a vice before applying the power drill to it. Drill Pilot Holes. It’s much easier to insert a screw into a pre-drilled pilot hole in a piece of wood. Your holes tend to be straighter, too. Plus, you’ll have to apply less pressure to the power drill as the screw goes in, reducing the chances you’ll slip. Properly Set the Drill Bit. Make sure the drill bit is properly inserted into the chuck and tighten it firmly with the chuck key. With a loose bit, your power drill won’t make straight holes and could slip. Use a Center Punch to Start Holes. A center punch makes an indentation on the wood, giving your power drill a target for starting perfect holes and avoiding slippage. Apply Proper Pressure to the Drill. Your power drill should do most of the work, so don’t apply too much force. If you push too hard, you the power drill can slip or you can strain the motor. 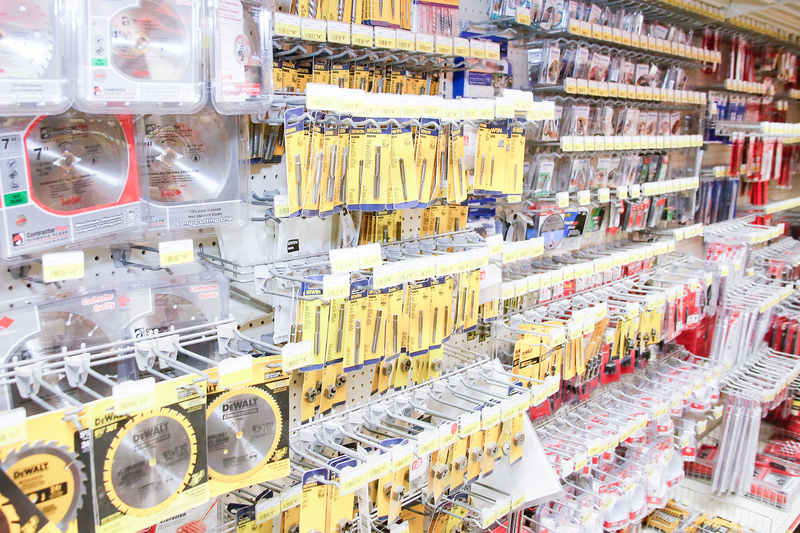 Whether you need a 1”- #2 square drive screw tip, a sawzall, or a new orbital sander, or even Milwaukee’s latest 18V job site radio and telescoping work light, Woodstock Hardware has the power tools and accessories you need.